We have been working with Michael for over a year now covering academic content, preparation for exams, and extracurricular activities. With our inclusive AP course, although Michael was a student of the A-Level program, he learned about the AP program learning system and successfully completed his whole course of study. After working through our AP program, Michael’s GPA results greatly improved, showcasing his fast learning and profound knowledge. 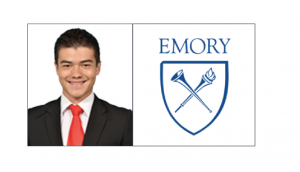 Through our tight 1-to-1 exam preparation phase, Michael’s TOEFL score also increased by 30 points and his SAT score also increased by nearly 300 points. Additionally, Michael also has a strong passion for the arts, and under the guidance of our professional art teacher, Michael established a good portfolio of his work, coupled with his own creative descriptions of the vivid images. His portfolio supported his application greatly and made him stand out. While choosing Michael’s colleges, we took into account his common interest in business and the arts, and so we chose Cornell University. 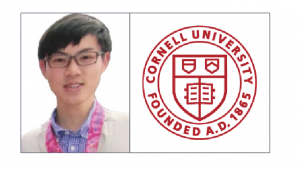 Cornell not only allows Michael to expand his artistic background, but also to pursue his business developments and interests. Leo took part in our long-term study tour his sophomore year. He was being educated at school in Shanghai, but wished for better educational opportunities in the United States. We worked with our New York team to help transfer him to Knox High School. Through close cooperation and full communication with Knox High School, Leo transferred to Knox in the 11th grade. The next two years, we helped Leo learn, outside of school, about the online AP program to improve his performance, prepare for the exam, and let him participate in many of the school’s work practices. Leo also worked on projects, including one about the Buddhist Relief Relief Trophies Foundation. He helped organize a service project that demonstrates his sympathy for others and his passion for participation and organization in community activities. Many students like Gloria have high academic levels, but always feel powerless when it comes to standardized tests, such as the SAT. However, she has unique qualities, so we wanted to help highlight these qualities to schools in her application. Our team and her colleagues worked together to demonstrate her passion for dancing. In her essay, she expressed that dance is an integral part of her life, and dance has become her way of accepting the challenges of life. At the same time, learning dance also gave her a way to introduce herself as an individual, and to participate and help others with the same interest. When we had to choose schools, we strategically selected schools that are the most suitable for her and the one she is most likely to be admitted to. 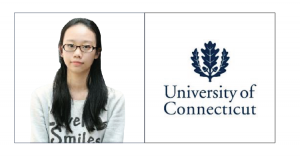 As a result, even with an unideal SAT score, Gloria was successfully admitted to the University of Connecticut. Caroline was a student from YCIS that came to us with the goal of getting into the Rhode Island School of Design (RISD) – the top design school in the USA. 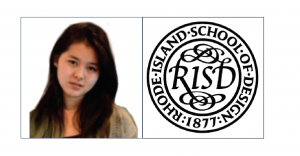 As one of the most competitive schools in the USA, we knew that Caroline had to improve her SAT score (originally 1850) and have a very focused application that highlighted her strengths and fit with a school like RISD. Caroline took private SAT lessons from one of our specialists that focused on the specific areas that she was having difficulties. Over the course of 20 hours, she improved her SAT score and ultimately achieved a final official score of 2090. As an art portfolio is a key part of applying to a design school, Caroline worked with one of her portfolio specialists to select the art pieces that best represented her growth over the years along with showcasing her strengths. When it came to the essays, we focused on highlighting her work with nonprofit organizations such as Seeds of Hope along with her demonstrated leadership abilities. Alice was the top student at her high school but was looking for our expertise to help increase her chances of admission to the top US universities. 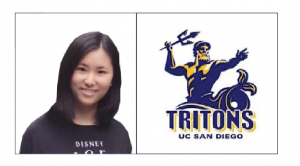 We helped her focus her application essays around her unique experiences and insights growing up with her family in China and how these experiences shaped her into the ideal pre-med candidate. For each college, we spent many sessions taking advantage of the supplemental essays to highlight how her personality and background would be a valuable addition to that school’s student body. The final step was preparing Alice for the interview process which is an important part of the admissions process at the top schools. Our team includes former interviewers for top schools such as MIT and their experience helped Alice prepare for the different school interviews. Daniel came to us with a very strong CV including extensive involvement in sports and student government at his school. The primary concern was his academic record and ACT score – both of which were on the lower end of the scale for the most competitive schools. Our goal was to create a compelling enough application that would interest the schools in learning more about Daniel. We did this by highlighting aspects of his personality beyond the sports and other activities that were already included in his CV. We focused on topics such as his personal struggles with moral conviction and becoming a socially conscious person. We also took advantage of the supplemental essays to talk about his demonstrated leadership ability and history of taking initiatives on behalf of other students. 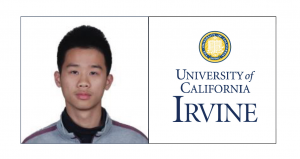 Xu Pudan was a student from Shude High School in Chengdu, China. Their school did not have a bilingual program and most of the students planned to take the Gaokao and go to university in China. However, Pudan wanted to go to the US and we worked closely with her and her family to make that possible. Because Pudan was not from an international program, we felt it was important for her to stand out from other Chinese students. 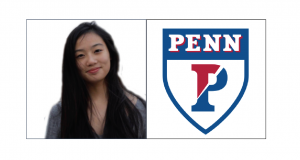 We helped her enroll in several Advanced Placement (AP) classes that aligned with her interests and would demonstrate her academic abilities to the top US universities. We also helped her prepare for the ACT and TOEFL examinations. In addition to academics, we helped Pudan secure a summer internship at the Agricultural Bank of China and found her community service opportunities in her hometown. For the actual applications, we handled all the necessary school documents including becoming her school counselor and providing school profile and counselor recommendations to the universities. We also helped her come up with essays that helped her stand out from other Chinese applicants by showcasing her leadership and volunteer experiences.